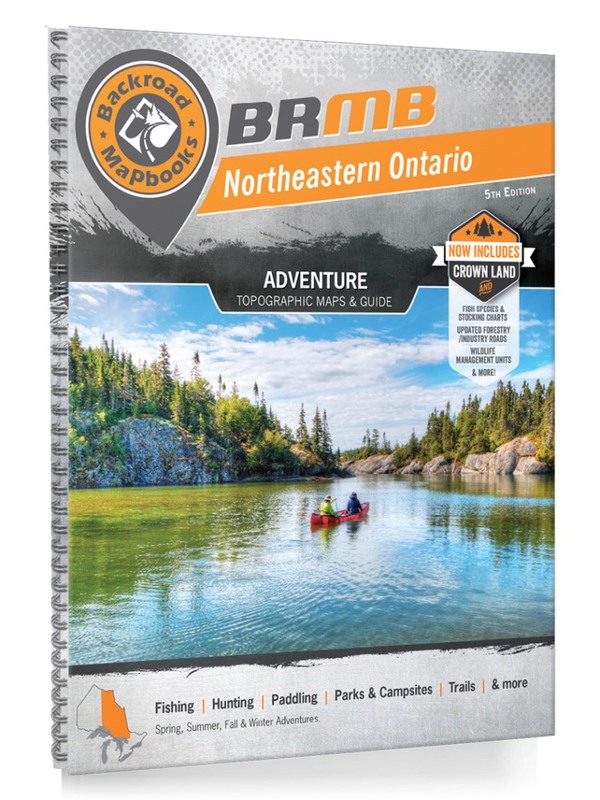 These recreation topographic maps for Northeastern Ontario highlight all the logging/resource roads, hunting areas, fishing lakes & streams, campsites, paddling routes for canoeing and kayaking, wildlife viewing areas, motorized trails for ATVing and snowmobiling, multi-use trails for hiking, mountain biking, backcountry skiing & more. Featuring 99 maps in total, this Mapbook covers 559,600 km2 (216,000 mi2). Maps 1-92 are at 1:250,000 scale, while maps 93-99 are at 1:1,000,000 scale. Also included are parts of Michigan state, and Quebec for a seamless transition into those border provinces or states. New features include Crown land areas, better scaled maps for the Highway 11 Geraldton to Kapuskasing areas, countless new roads and trails plus additional recreational Points of Interest. Included on these maps are Chapleau Crown Game Preserve, Cochrane, Georgian Bay, Hearst, Hudson Bay, Lady Evelyn Smoothwater Provincial Park, Lake Huron, Lake Superior, Manitoulin Island, Moosonee, North Bay, Polar Bear Provincial Park, Pukaskwa National Park, Sault Ste Marie, Sudbury, Temagami, Timmins, Wawa and more!